Offering you a complete choice of products which include white cement packing machine. With an aim to stand tall on the expectations of our precious customers, we are providing White Cement Packing Machine. 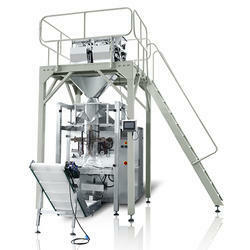 White cement packing machine engineered to pack free flowing materials in large capacity bags. These packaging machines are designed for accurate filling and perfect sealing. Our esteemed customers can purchase this packing machine from us in varied technical specifications and models at rock bottom price.